The sensor medical hand-washing device for wash basin is wall mounted,it is very convenient especially used in hospital.The infrared sensor detection zone is 50-70cm. The wall mount and long spout design is very easy for doctors to wash the arms. 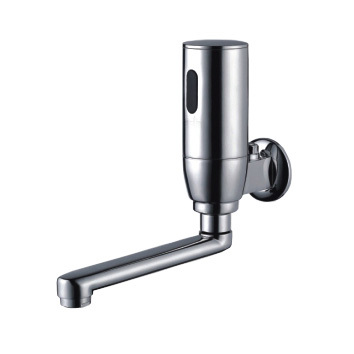 It is solid brass body and chrome plated finish,very durable and vandal-resistant. The self control touch-free hand washing basin faucet is more hygienic and energy efficient for medical use. Looking for ideal Wall-mounted Medical Handwashing Device Manufacturer & supplier ? We have a wide selection at great prices to help you get creative. All the Medical Sensor Tap are quality guaranteed. We are China Origin Factory of Medical Sensor Hand-washing. If you have any question, please feel free to contact us.